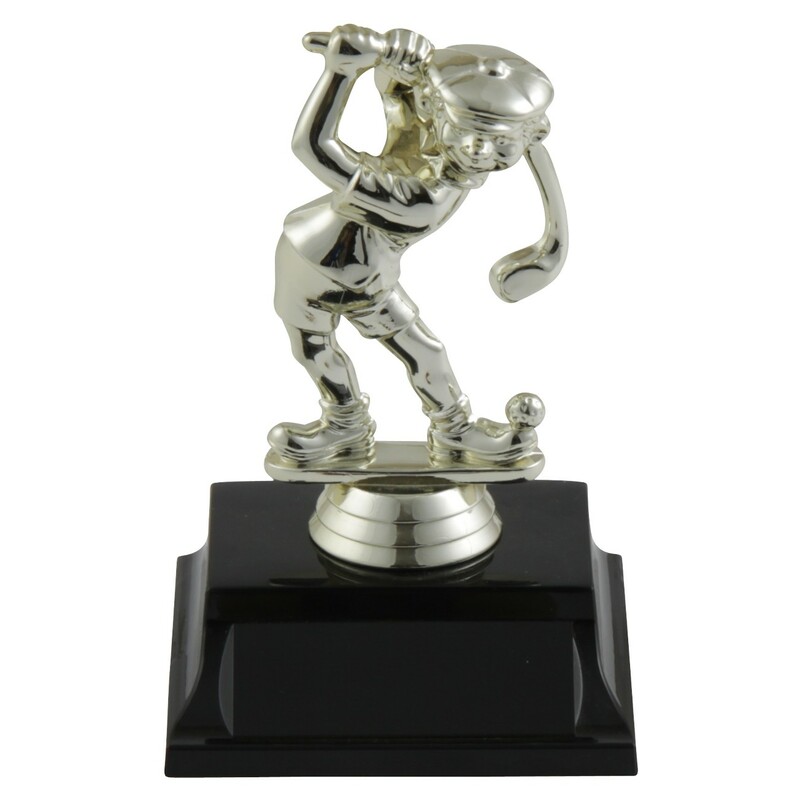 TheFunny Male Duffer Golf Trophy is a gag golf trophy featuring a goofy-looking male golfer about to shank the ball!. Attached to a shiny black base with 3 lines of free engraving, this funny golf award is perfect for the tournament high-score loser! An affordable golf trophy that is sure to get laughs! Find the Funny Female Duffer Golf Trophy here! Or record your loser year after year with the perpetual Funny Duffer Perpetual Golf Trophy!